...by Google if they don't have a proper SSL Certification up and running. Yeah, I really mean it. The big G is moving forward with its plans to basically take over the internet. you will not show up when someone Googles what you are about. Yeah, they have been moving that way for a bit now. Since they are the elephant in the room, when they lay a big steaming pile - everyone has to smell it. It is a good idea in general though. Whether the other search engines follow their lead remains to be seen, but they probably will to try to keep up. Just another part of the Internet evolving. @xiqual Thanks for sharing this, appreciated. Download FREE Dropship Detective Report - Learn the Secrets of Dropshipping Success. I can recommend many things, but there are only a few things I can recommend with confidence. can you add initial link to that matter or mention source? I've heard this too. There are a couple of things that should be added. The Information I had didn't say specifically that sites with no SSL would not be indexed, but there would be a warning that "the site was unsecure" for each site that did not have an up to date SSL. After doing a bit of research into this, it seems what is happening is that in 2017 the Google Chrome browser will start to put up a warning page on any site with a non-existent or bad SSL certificate. There is also more weight given to sites who use SSL in the search engine ranking which has been a factor since around 2014. This is being done since anyone, even bad people, can get a website. It is a bit harder to get a SSL certificate as you have to give a bit more identifiable info to get one and they are not cheap. This is supposed to reduce the amount of "bad sites" infecting people. Now you will have a choice when browsing in the Google Chrome browser when you come to a site that has no SSL certificate to leave or go to it at your own risk. I am sure the other browsers will follow suit. As for not indexing the site itself, I have not found any verifiable information on this but it does seem to be the case if you look at it logically. The search engine are working to show good, safe sites for their customers to go to. They have been at war with crap affiliate sites trying to game them for quite some time and this may be the final nail in the coffin. If they keep showing sites with a warning on all the page one sites it wouldn't be good for them or their business. They are just trying to get rid of the "crap" results and this is one good way to do it. For the people not serious enough or have ill intentions; they will usually not pay the money to get a SSL certificate or want to give the identifiable information to get one. The SSL certs cost between $100 - $800 per site. So this will seem to mean going forward in 2017, if you don't want the warning page to come up when someone tries to go to your site - you will need an SSL certificate. How many people will actually go to a site they don't know from a warning page? Not many I assume, I usually don't. It also means a lot of hosted sites people have will not be seen in the SERPs unless they want to pony up the extra money. It also means business on the Internet just got more expensive to do. I simply love all the yahoo comments whenever Google does something that disrupts the norm. The Google Search Engine has only one job - to provide the searcher with the best experience by providing what they are looking for. The SSL certificate change is just another step to rid the rankings of questionable sites( as stated by MrClean). Personally, I don't see the big deal as my hosting comes with a shared ssl certificate; perhaps not the greatest option but probably fulfills Google's requirement. 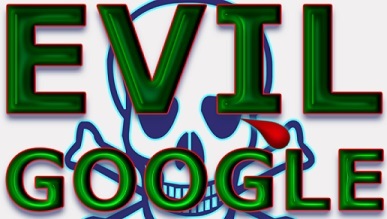 If you think Google is so EVIL (no sharks with lasers here) then use Bing or DogPile or some other SE; their are plenty of choices. I have had this happen to me as well. I use Firefox mostly. What are you using? I use Firefox too. Not that it is a better choice, but there are a lot of sites I use that don't work right with Chromium based browsers for some reason. I use Chrome, Firefox & IE. It seems they all have their place. IE seems to be the most strict, but will let me transfer/copy most graphics problem free. Chrome appears to be the fastest (I use this the most), but it will not work as well on some sites as Firefox. Firefox is a real gem and I respect what the owner has done. I am happy to send him a donation every year. Yes, In simple words Google will give more priority to those site which have https in their domain name. Has me has faced the problem in the form of errors in my website indexing and the problem affected till 3 months later using SSL certificate I redirect to HTTPs.